The Havana Sunrise lines are now made in Nicaragua. The natural carries an Ecuadoran wrapper, Indonesian binder, and a filler blend comprised of Honduran (Jamastran) & Nicaraguan (Esteli and Jalapa) tobaccos. The line also comes in a maduro wrapper, but I have not had the opportunity to smoke them yet. It is available in five vitolas – Havana (7X48), Churchill (7.5X50), Emperador (6.25X54), Robusto (5X50) and corona (6X44). I’m smoking the corona for today’s review, and as I check it out before lighting I find a very lightly colored, silky smooth wrapper that feels supple to the touch with a slight sheen. There are small, sparse veins present but unobtrusive. The pack is even and firm to the touch, but not overly so. All of the samples were well made with nice, tightly lain seams and superb draw. Prelight, the draw provides a mildly sweet, hay-like flavor. The aroma is similar although a bit more subdued. With the addition of fire, the initial puffs are much like the unlit draw in flavor, but with a bit of a tickle through the nose – a healthy but not overpowering bit of “Nicaraguan” spice. Each of them took well to fire and lit evenly and easily. They begin with an unexpected heavy dose of cedar/wood at light, which is different than the blend I remember from years ago. If I recall correctly, those were much more sedate. Without fail, they have produced lots of smoke. Even with the early spice, sweetness prevails. Throughout the first third of the cigar I get a distinct sweet woodiness on the palate, coupled with the slightest “zing” mentioned above. The construction proves to be spot-on, with a continued draw that is firm but free. For the most part, the ash has held on until the 1″-1.25″ mark. Going into the second third of the smoke, I invariably have found a difference from the initial portion – the spice drifts well into the background, and the sweetness steps forward. The flavors flirt with some citrus, although it’s more of a mention rather than being overt. At this point, I’d put the strength on the somewhat milder end of medium. By the end of this segment of the smoke, a very mild astringency develops – no bitterness, just an underlying drying effect on the palate. It still retains the predominant wood flavors with some sweetness. Going into the final stretch and through the end of the smoke, it returns to something akin to what I described in the first puffs. There is more of the woody sweetness with some spice presenting on retrohale. The burn has been unfailingly razor-sharp with each one I’ve smoked, and they give a quite pleasant aroma as well. I can find these at one of my regular stops for about $3.50 a cigar. That’s an amazing bargain in my book. I’ve been through a number of these now, and will definitely not hesitate to pick up more. An absolutely great morning smoke. The Gomez family’s other line is Casa Gomez, manufactured by La Tradicion Cubana at Tabacalera LTC in the Dominican Republic. 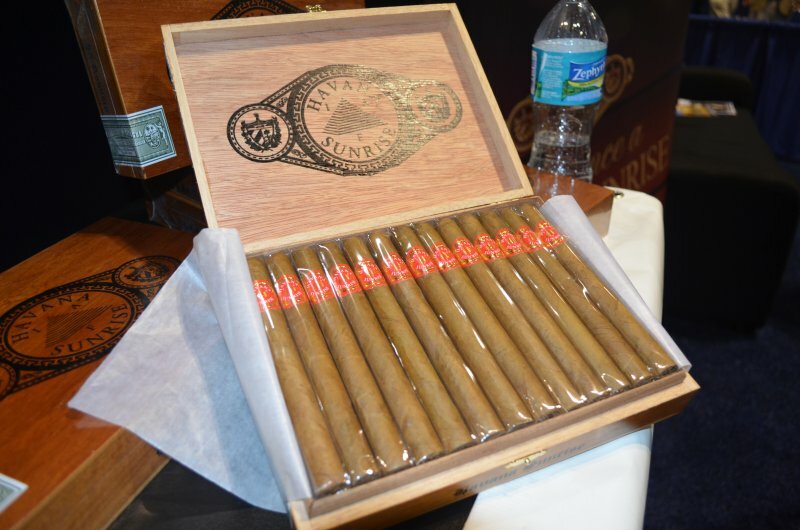 You might remember I have written both a Cigar Spotlight about LTC, and a full review of their upcoming American Born Cubans. It’s no secret I am a fan of Luis Sanchez’s cigars – whether under his LTC umbrella, or for a number of other cigar companies. 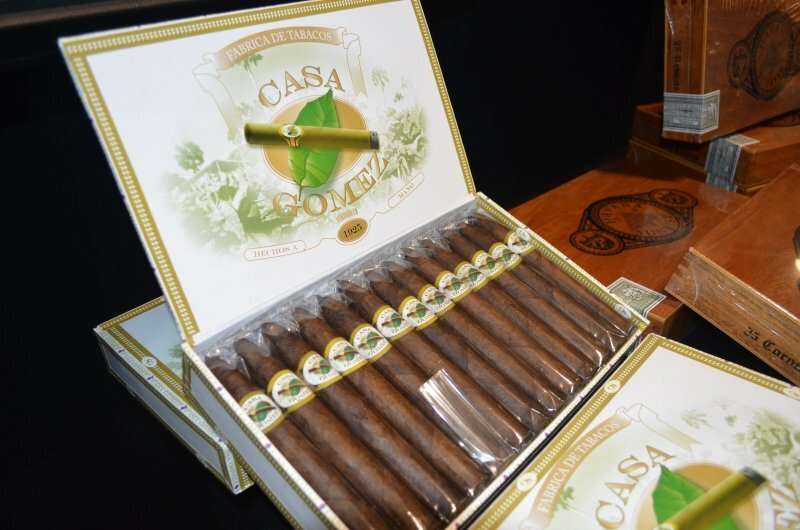 The Casa Gomez maduro is made up of a Brazilian wrapper, Dominican binder, and Dominican filler blend. The natural version retains the Dominican filler and binder, but is surrounded with an Ecuadoran Connecticut wrapper. 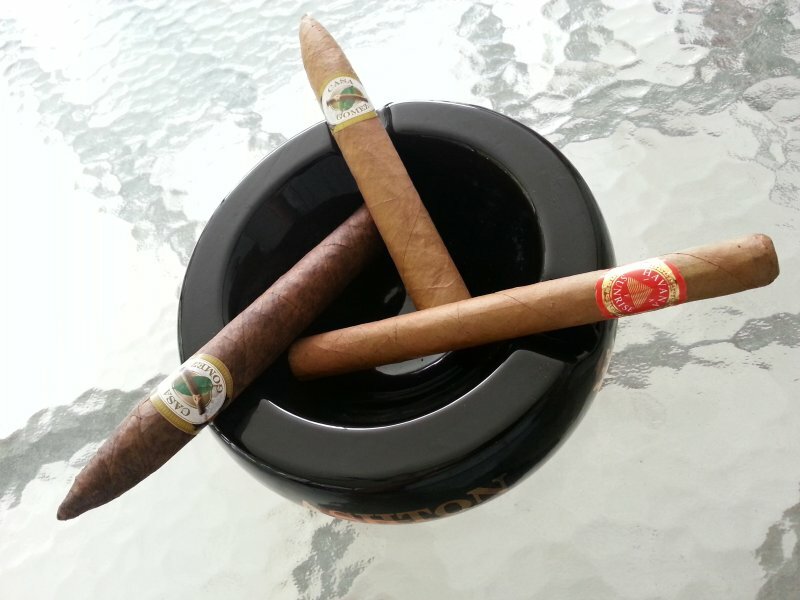 Both come in the following vitolas: The Junior (Robusto, 5.75X52), Benjamin (Belicoso, 6.5X54), Senior (Churchill, 7.5X50), and Loren (Corona, 6.5X44), and run in the $6.50-$7.50 range. I smoked the Belicoso in both maduro and natural for this article. The first thing I notice about the maduro is the mottled coloration of the wrapper. The unlit draw is very earthy and dark, with a slight sweetness. With the first maduro I tried, I happened to give a sniff as soon as I took it out of the cellophane only to get distracted and come back in about 20 minutes. The difference in prelight aroma was very pronounced, and had taken on a more woody character during that little time out. I’m not sure what that means, if anything, I only mention it because it was so noticeable. The first puffs were marked by a sharp spice that is experienced most on retrohale. The early flavors were markedly bready, which was a surprise as I had expected darker flavors beforehand. It soon settled down into a sweeter profile – with some leather and nuts, even straying almost to what I would have called caramel if it was a tiny bit more sweet. Overall, these have been quite consistent in flavor. In fact, this maduro is one of the cigars that I would call “comfort smokes” for me. They are just that – very comforting. Once you are familiar with them, they are unfailingly reliable and provide a outstanding experience with each smoke. Moving on to the natural Ecuadoran-wrapped Casa Gomez, the unlit aroma is somewhat sweeter, with a more haylike smell of well-aged tobacco. Like its maduro brethren, it is incredibly well made, and after now smoking numbers of these I have had absolutely zero construction issues. Being somewhat sensitive to draw issues, that is quite an achievement in my eyes. The prelight draw is much like the aroma in depth and sweetness. I am not always a big fan of Connecticut wrapper leaf; sometimes, without a complementary blend underneath, the flavors can become bitter to my palate. The Casa Gomez, however, is expertly blended and the higher pitch of the wrapper is underpinned by a bold sweetness that just “works.” Like the maduro, the natural kicks off with some (albeit less) spice, which soon becomes more sedate and takes on the role of supporting act rather than remaining centerstage. The sweetness of this blend is the main player throughout the cigar, with few marked changes. It wanders throughout a narrow range of sweet citrus and cedar flavors. I would place both versions of the Casa Gomez firmly in the medium range for strength, with flavors slightly more bold on its respective scale. Overall, I’ve come to rather enjoy all of Benny’s cigars. It would be difficult for me to pick a favorite, although the value found in the Havana Sunrise at its consumer-friendly pricepoint is very, very appealing. I can honestly recommend you give any of them a try – there’s something for most every cigar fan in the offering. They have all been expertly crafted, and provide worryfree, pleasantly flavorful smoking. What more could one possibly ask for? Isn’t that what this hobby of ours is all about? For me, having a well constructed, flavorful, reasonably priced cigar adds so much to the experience. Both the Havana Sunrise (especially the corona) and Casa Gomez lines are unfailingly reliable in construction and consistent in flavor. The Gomez’s continue to build a growing number of retailers to carry his lines, and fortunately I have one in my area. I’ll certainly keep a few of these around for the times when nothing else will do.